Are you for or against rail trails? Let us know! The Hutch News has published a couple of articles on the issues of the rail to trail conversion in Reno County (read them here and here). There are holdouts that are preventing expansion of the rail trail projects into the Hutchinson area – basically, it takes the cooperation of the landowners to allow the unused rail lines to be converted into a trail system with a variety of objections from concerns about litter, vandalism, and more. The article outlines how many of these objections haven’t manifested themselves on current rail trail projects, but change can be hard. There are also potential legal issues for railbanking, which came from a 1983 trails act. It will come as little surprise to find out that we are pro-trails (we did write the book on them!). 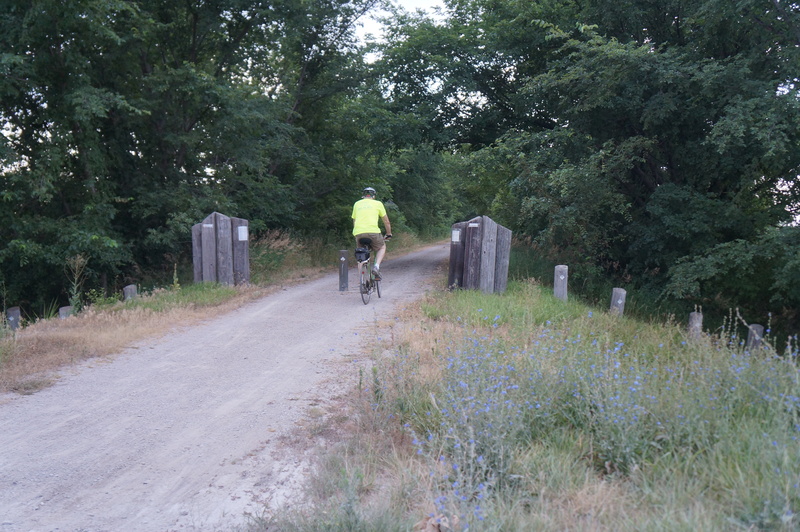 We spent time on all of the complete rail trails in the state (Prairie Spirit – one of our top 10 trails!, Southwind, Meadowlark, Prairie Sunset, Valkommen and more) as well as the in progress Flint Hills Nature Trail. Trails like this can boost the economy of small towns along the corridors and it helps with the health of locals. We’ve also spoken with Clark Coan, a prominent rail trails advocate. What do you think? Are you for or against more rail trail projects in Kansas, particularly Reno County? Let us know in the comments below! The long trail holds an allure unlike any other. The good ones are the stuff of legend; the well-worn Appalachian Trail, rugged Continental Divide Trail, and Pacific Crest Trail are universally revered. But the truly great long trails once cut through the endless expanse of prairie that we now call Kansas. The names themselves are legendary; Oregon Trail, Santa Fe Trail, Chisholm Trail. But all of these legends slowly died with the advent of the railroad. There’s more than a bit of irony in the fact that well over a century later, the modern decline of the once wide-spread railroad has driven the establishment of the new long trails spanning the plains. One of the best known trails in the Midwest is the acclaimed Katy Trail, which runs 225 east/west from St. Charles to Clinton, Missouri. Kansas boasts multiple long rail-trails, including the Prairie Spirit Trail, Landon Nature Trail, Blue River Trail, and Meadowlark Trail. 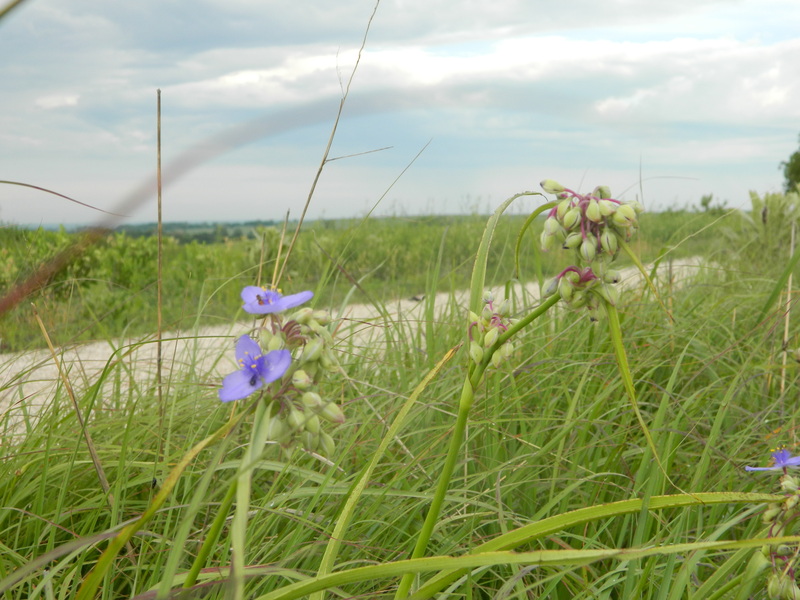 However, the most ambitious rail-trails project is the Flint Hills Nature Trail. When completed, this section of rail-trail will be the seventh longest in the nation and will stretch 117 miles from Osawatomie to Herington. Currently, the trail is not fully open but there are many sections that are ready to ride. Osawatomie to Ottawa (18.9 miles): The easternmost section of the Flint Hills Nature Trail is well-maintained and easily accessible as it runs along the bluffs of the Marais De Cygne river east through Rantoul and on to the historic Old Depot Museum at Ottawa. The depot also serves as the northern terminus for the Prairie Spirit Trail and is open for tours from March – December. 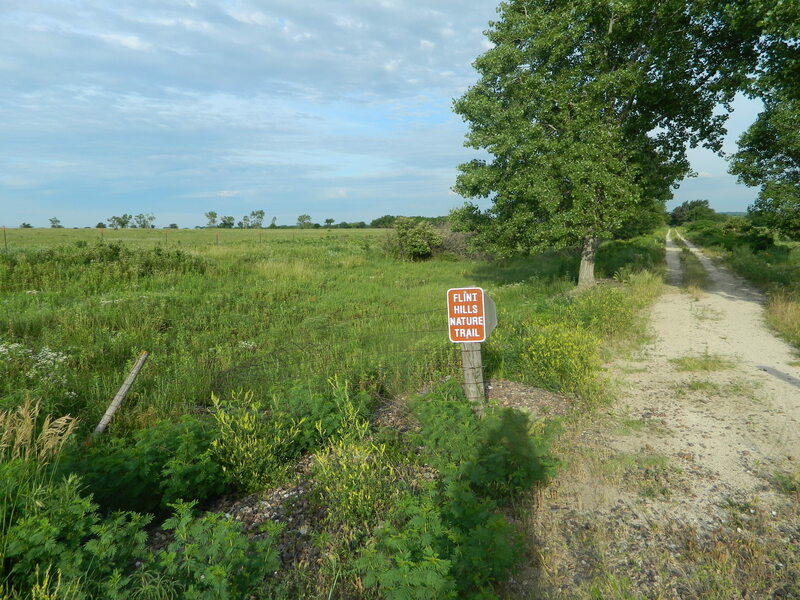 Vassar to Osage City (11.1 miles): To the west of Ottawa, the trail is intermittent with 1.2 miles open between the Old Depot Museum in Ottawa west to the Marais De Cygne River and a 2 mile finished stretch east of Pomona. However, the longest continuous section along this part of the trail currently stretches from Vassar to Osage City. Check out the unique assortment of merchandise at the Vassar Mercantile and enjoy the gradual downhill as you cross US-75 and continue on the trail west to Osage City. Osage City to Council Grove (39.7 miles): From Osage City the trail runs west through Admire and Allen and enters the heart of the Flint Hills. There are a few rough stretches but this entire section is certainly passable on foot or bike. The section between Bushong and Council Grove is one of the most scenic and remote sections of the trail as it cuts through the rugged and vast Flint Hills landscape. Before Council Grove a short side trip will take you to the Allegawaho Memorial Park just to the north of the trail. This park is located on land that formerly served as the Kaw Indian Reservation. The end of the trail is currently at Council Grove, once the last outpost of civilization for travelers heading west along the Santa Fe Trail. While in Council Grove visit the Kaw Mission Historic Site and dine at the Hays House which has served fine food to weary travelers since 1857. These sections of trail are some of our favorite, but we look forward to the completion of the trail which could occur as early as 2015. 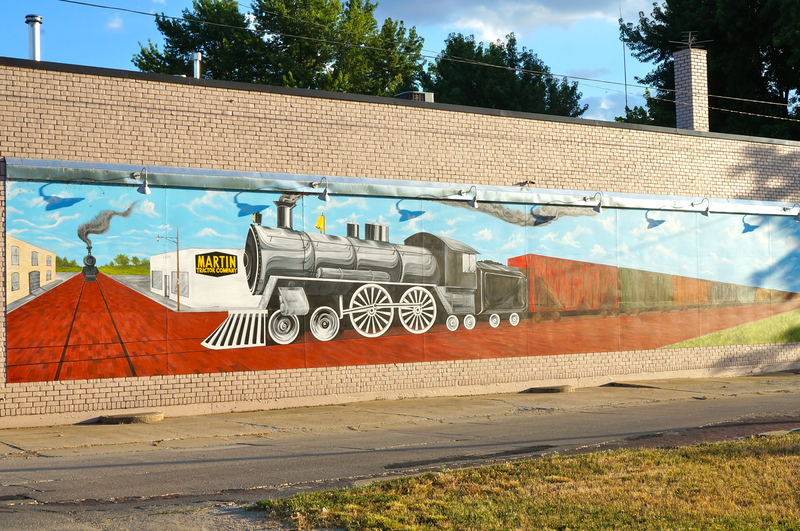 This mural is near the Old Depot Museum in Ottawa, which is the northern trailhead for the Prairie Spirit Trail. It runs for 50 miles from Ottawa to Iola where it links with the Southwind Rail Trail for another 6 miles or so from Iola to Humboldt. For those who voted for the Flint Hills Nature Trail, well, I guess that could be argued as the right answer as well. The still in progress Flint Hills Nature Trail runs east – west, and it passes through Ottawa, though its route doesn’t take you past this trail mural in Ottawa. The Prairie Spirit Trail is completely finished and in good condition, with an easy grade and wide path perfect for cyclists, equestrians, or runners, and after heading through Ottawa, the trail takes you through the Flint Hills. If you’re on the trail in the morning or evening, you’ll be under shade, and there are bathrooms and trail stops along the way as you head through or past the towns of Princeton, Richmond, Garnett, Welda, Colony, Carlyle, Iola, Bassett, and Humboldt. Daily passes are $3.50 and can be purchased in at self-pay stations at the Ottawa, Princeton, Richmond, Garnett, Welda, Carlyle, and Iola trailheads. Annual-use permits are $12.50 and can be purchased in Garnett and Ottawa. Vote: Do you know where this is? In the 1960s and 1970s, railroad tracks were abandoned across the country, and now, long stretches of former rail tracks have been, or will be, turned into trails. And in Kansas, the rail-trail conversion and creation process has resulted in over 100 miles of usable trail throughout the state with 100+ either in the concept or project stage. See above for a map of the current and proposed trails. The longest trail in the state will be the 117 mile Flint Hills Nature Trail, and with a $2.4 million grant, by 2014, it should be completed between Osawatomie to Herington. It will also connect up to the completed and open Prairie Spirit Trail in Ottawa, which runs between Ottawa to Iola and connects to the Southwind Rail Trail, which runs between Iola to Humboldt. The Flint Hills Nature Trail also links up with the 300+ mile Katy Trail in Missouri via the Indian Creek Streamway Trail and Blue River Trail in the Kansas City area. Making these trails is a huge undertaking. Planning out the location and getting funding, clearing brush and installing crushed limestone, then maintaining the trail – it’s a big job, and the work is primarily volunteer. One non-profit converting these former railways into trails for foot, bike, and horse traffic, is the Kanza Rail-Trails Conservancy. Former Director of Development at Kanza Rail-Trails Conservancy, Clark Coan agreed to answer a few of our questions about the Kansas rail-trails. Kansas Trail Guide: When did the rail to trail conversion start in Kansas? Clark: The Rails-to-Trails Coalition of Kansas began working on railbanking the Landon Trail in 1987. Kansas Trail Guide: How many volunteer hours does it take to create a rail-trail? Clark: It depends upon the length of the trail. The longer the trail, the longer it takes. Funding is the main thing which slows up development. Generally, it takes 1,000s of volunteer hours to complete a trail. Kansas Trail Guide: Is there a trail or part of a trail that’s a personal favorite to walk or ride? Clark: I guess my favorite right now is riding the Flint Hills Nature Trail from Rantoul to Osawatomie. It has a tree canopy and goes along bluffs towering above the Marias Des Cygnes River. Kansas Trail Guide: Is there anything that most people don’t realize about the rails-to-trails program in Kansas that they should know about? Clark: Many Kansans don’t know they exist but they are gradually being discovered. They allow Kansans to have adventures close to home. Kansas Trail Guide: What is the historical significance of the rail-trails? Clark: The railroads helped open up the West to settlement. Towns sprung up along railroads and settlers rode the trains to their new homes. The rail lines generally followed historical trails such as the Santa Fe Trail which typically followed Indian trails. 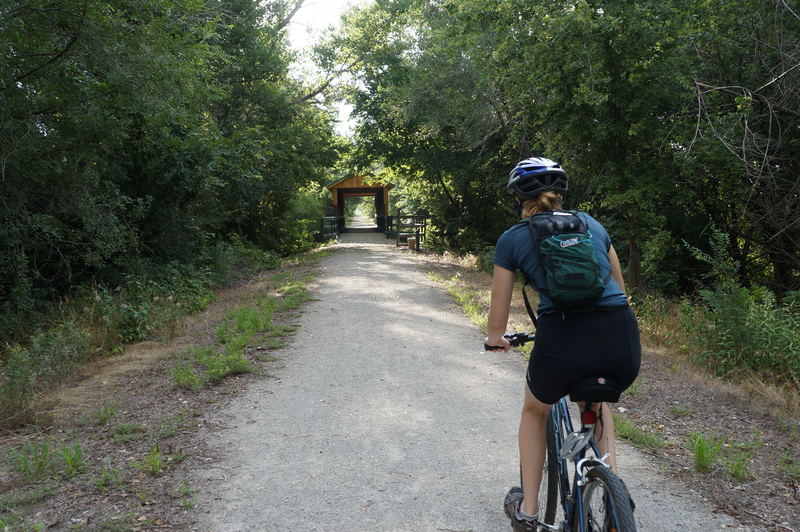 Kansas Trail Guide: What do you feel is the impact of the rail trails on Kansas tourism? Clark: Tourism from rail-trails can help small towns survive. Trail users need food, gas, lodging and souvenirs. The boost to a small town’s economy may help it stay alive.